5909 Urban Drive East China Twp, MI. | MLS# 219015767 | Marine City and Algonac homes for sale,Westrick Real Estate One 810-765-8861, Marine City MI Homes,Real Estate Marine City MI,Homes for Sale Algonac,Algonac MI Agent, Home for sale St. Clair MI,St. Clair Homes for Sale,Property Marine City, Algonac Homes. 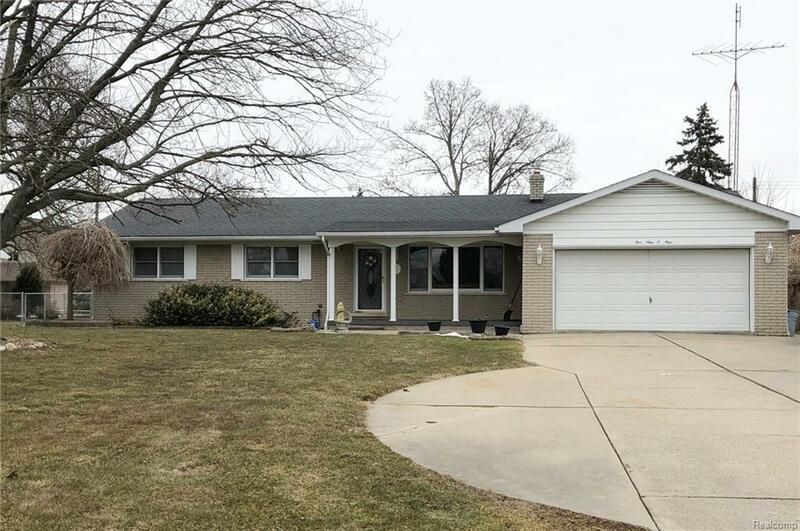 East China Township 3 bedroom, 1 1/2 bath ranch home on basement. This full brick, sound ranch home is looking for a new family to update her and make her their fine new home. Brick fireplace is potentially natural and / or natural gas with oak bookcases gracing each side. Conveniently laid out kitchen has a snack bar and Kitchen appliances are included. The 3 bedrooms and full bath are on the north end of the house while the Family room and garage access through family room are at the south end of the house. Basement is mostly finished. NOTE:the roof '06 hot water tank '18 . New drain tiles around outside of home 2005. Priced to sell. NOTE: requesting move date after graduation. Exclude dining room chandelier and model boat in built in shadowbox in basement as these are family mementos. Due to changing work hours a showing request should be minimum 2 days prior to showing. WE will do our best to accommodate showings as requested with this notice. Hey Thank you for your consideration.